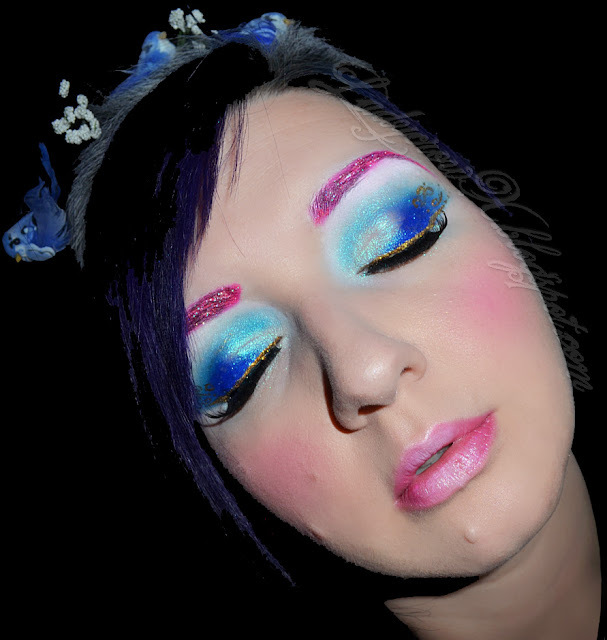 So Makeupbee is having a contest inspired by Marie Antoinette , I got inspired this weekend by the theme and decided to try out a look. When I think of this theme I think of blues, pinks, and golds along with the standard white hair and things like birds and feathers that adorn the hair. I also entered this into the competition, so if you like this look please vote for me by clicking the "Luv" button to the left below my avatar picture Here. Here is the look I came up with! 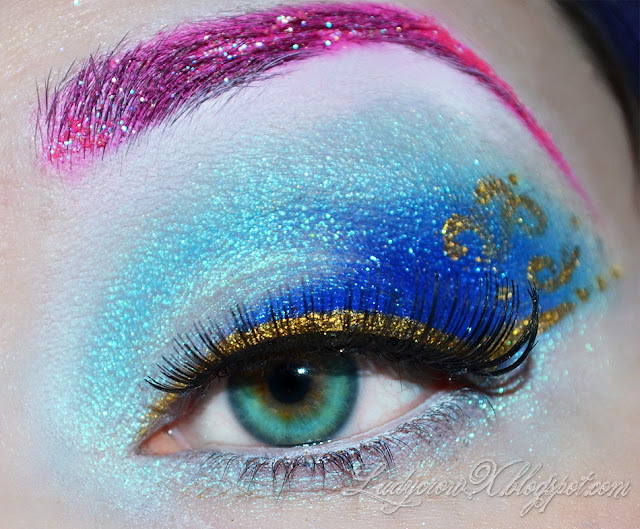 I love the pink sparkly eyebrows. WOW- this is insanely gorgeous! Another Suprise - Husband is a Sneak! Spring is Coming MAC Giveaway Winner!! !